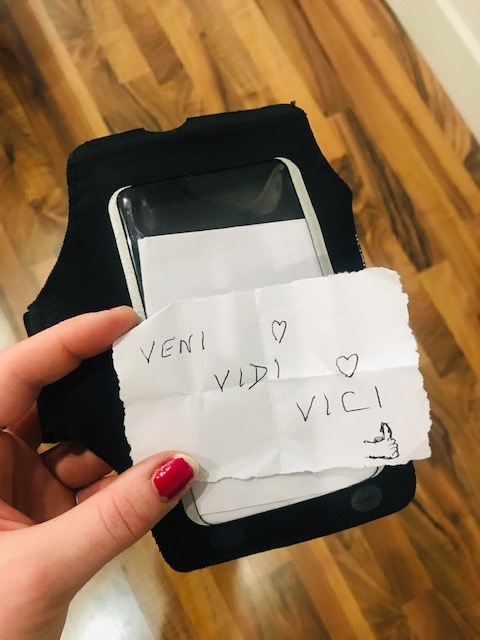 ‘Veni, Vidi, Vici’: Athens Marathon. 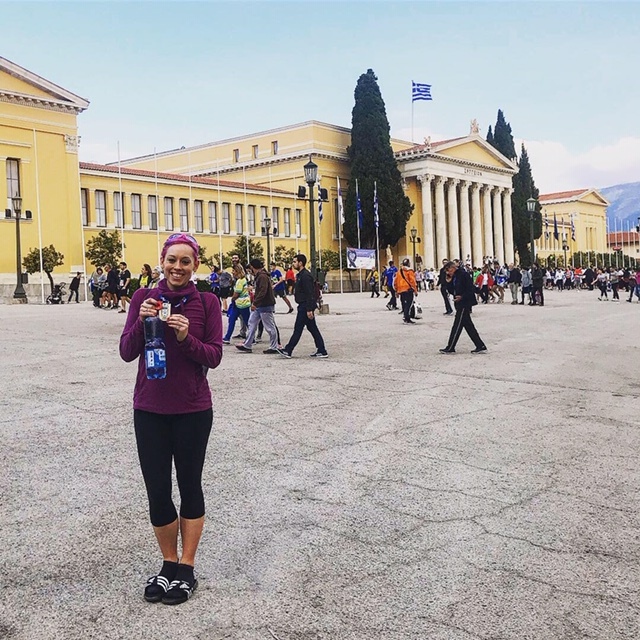 As most of you may have seen, last Sunday, I conquered the ATHENS MARATHON. The classic marathon was one for the to-do list when I saw that a few of my running friends had entered the race at the beginning of the year. THIS particular marathon was not like any other marathon… This was the ORIGINAL (sorry, the authentic) marathon. 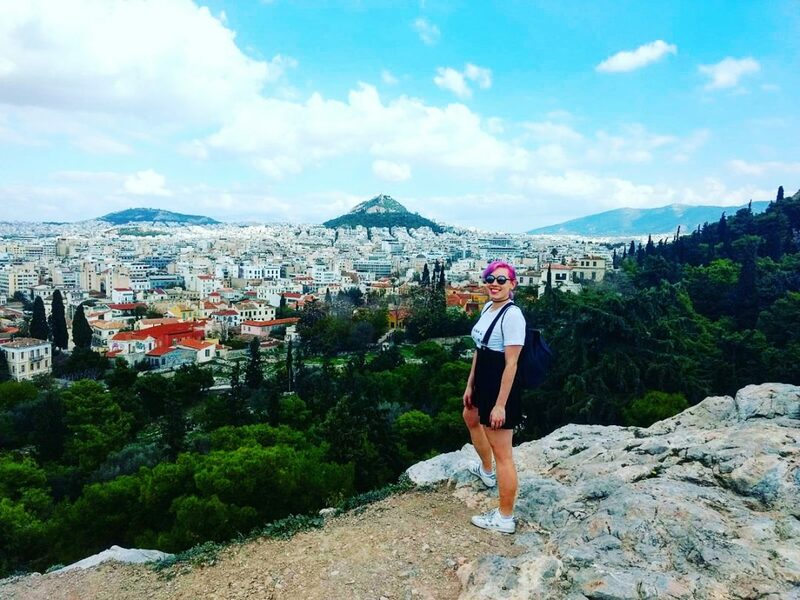 The course is based on the legend from which the race gained its name: Pheidippides, a messenger from Ancient Greece, ran from the battle of Marathon to Athens to announce the Greeks’ victory over the Persians. In 1972, the annual road race marathon was BORN. Starting in the little town of Marathon and finishing in the breath-taking Panathinaiko stadium (JUST WOW) will make you feel like a true athlete! This year (2018) the race had a total of 55,000 participants and 15,000 of those ran the 42KM distance. If you are wanting just a slice of the action, there is a 5KM and 10KM race to run instead! It is known to be one of the toughest courses to date with over half of race being on an incline; it will challenge all runners, even the most experienced ones. 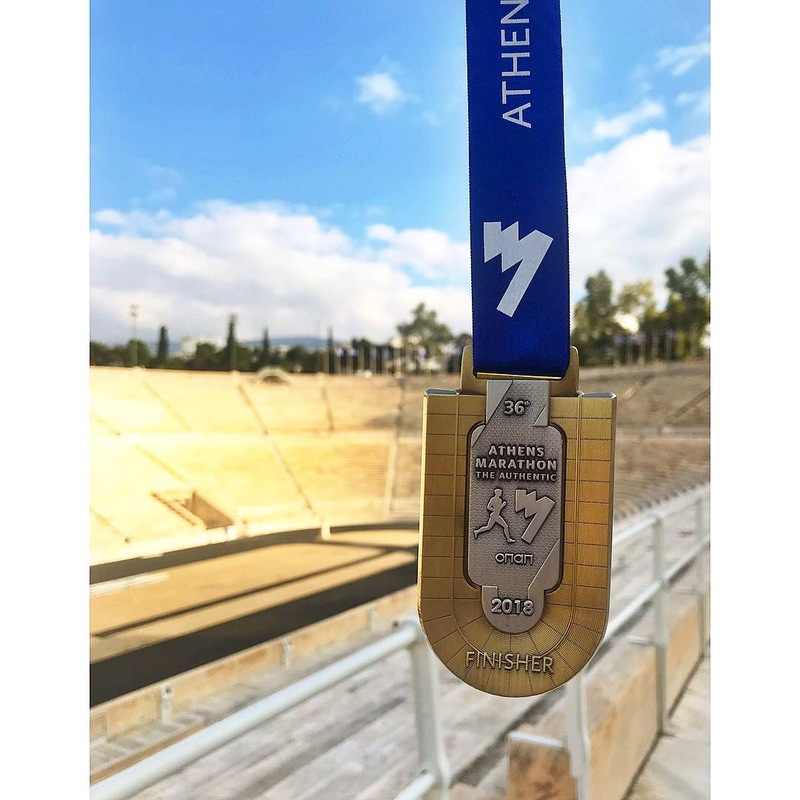 Looking at the stats, many participants don’t make the full stretch, so it is very important that you respect the challenge and train thoroughly for the one and only, Athens Marathon. It was all about doing the much-needed homework before the big day, like with any goal that you aim for. This isn’t your average marathon… This is a 26.2 mile challenge uphill in 25/30 degree heat; this needed some serious training behind it. Plenty of long distance runs, never-ending hill training and (if possible) training in warmer temperatures. A message I collected from Marathon & took to Athens! Do not worry about the comments though, if you’re a fan of running the distance THIS IS THE ONE TO DO. The whole experience will be one to remember. The event starts off with the expo at the Tae-Kwon-Do Olympic Venue. It is like any other but with the added flair. Party music, HUGE maps and games to play… Prizes, tasters and Amstel Free beer were being given out to all participants and their families. The atmosphere was fantastic. Organisation of the whole event was top-notch, everything you may have needed was catered for. All staff and volunteers were very friendly and happy to help. The support is great too, with locals coming out to the race with olive branches and snacks to keep your spirits (and energy levels) high! They truly were proud of their home town marathon. Hearing the cheers ‘Bravo!’ along the way gave me a huge smile from start to finish. It was very different to some of the other races that I have done. Then there were the feeding stations. Water was given out at every 5KM, as it was a very hot day, which runners could choose to take along the way. Then there were the energy providers. Powerade, chocolate and breakfast bars… You were not short of a snack if you needed it! BIG shout-out though to my personal favourite beverage on the course being a sweet, fizzy cup of Coca Cola® at around 31KM and 36KM. Just. DELICIOUS. A big thumbs up to all! My personal thoughts on my performance. I was more than prepared for the marathon… but I still took it in my stride (har-har) and kept a steady pace throughout, which means that I fully enjoyed the experience. Although it was a tough road, I didn’t ‘struggle’ like I had done before in other races. I told myself from the beginning that this race was for completing, not PB’ing, which meant that I had no pressure to do anything heroic. 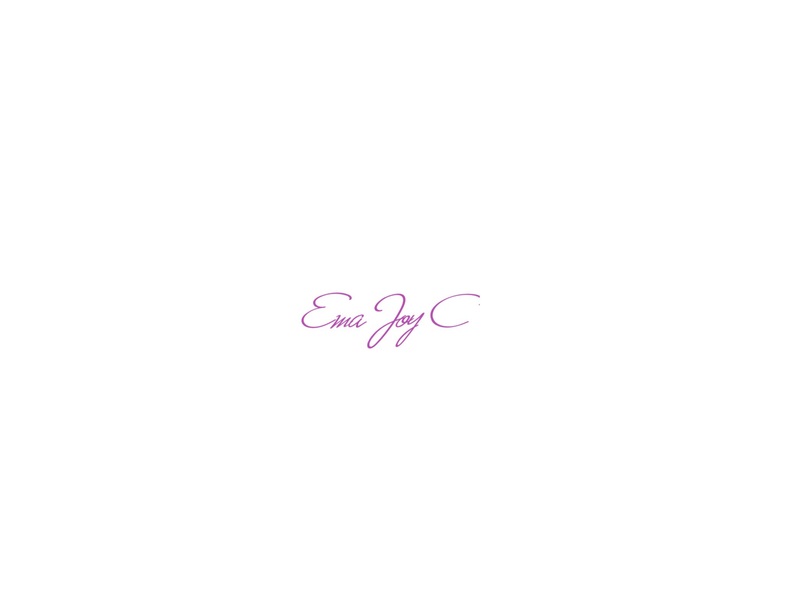 Did I enjoy the experience? Without a doubt. Would I recommend this to others? Yes, yes, HELL YES! Would I do it again? In the future, I most probably will. If you want to see history, then sign up to this gritty marathon. It is by far, one of my most favourite running experiences to date. This is one to enjoy, so don’t expect any ground-breaking times (although, aim for it if thats your goal!) and go because of the love for the sport and the scenery. 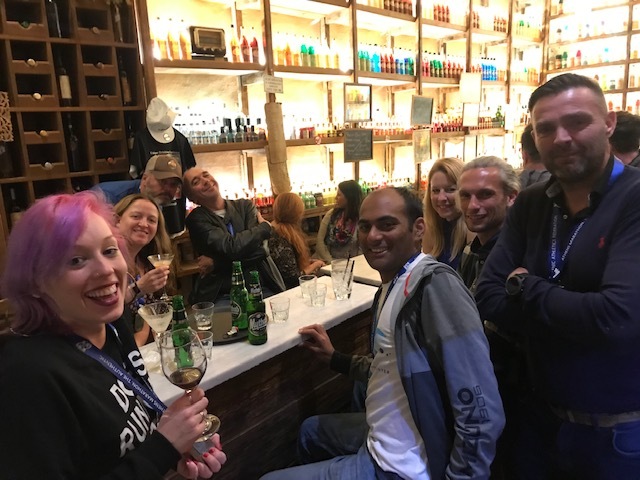 PLUS I got to meet my running pals for a well deserved adult brew post-race as celebrations were to be had. Now THAT’S what the running community is all about! I am proud to be a little part of the 36th Athens Marathon event. I am not sure how to top this one now! 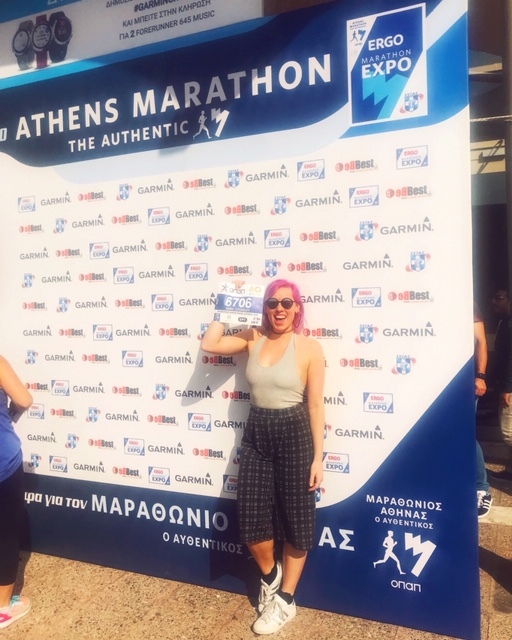 Looking to sign up to the 2019 Authentic Athens Marathon? Click HERE!